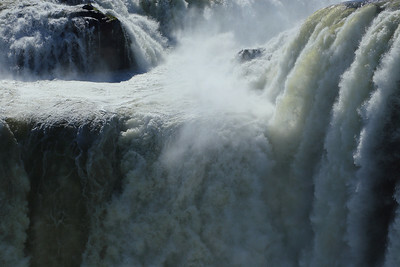 A great visit, but the crowds out to Devils Throat are large. 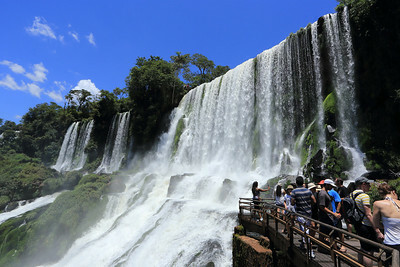 Brazil side is much lighter, but less to do. 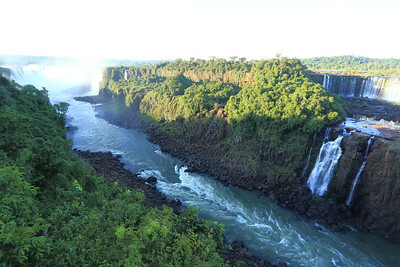 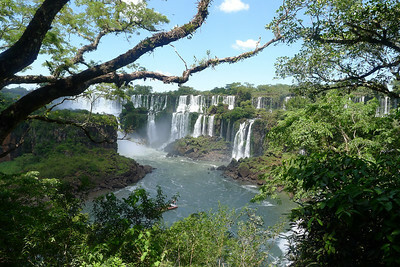 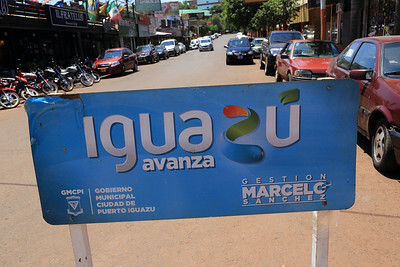 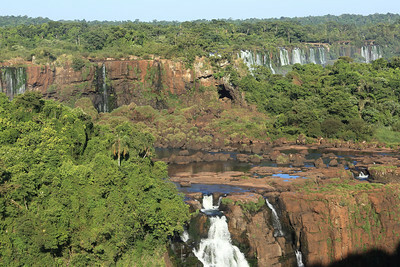 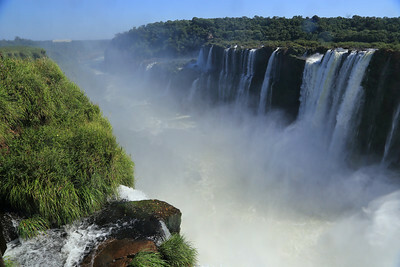 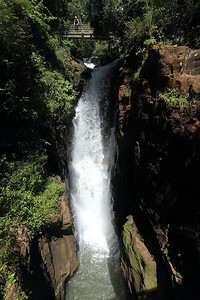 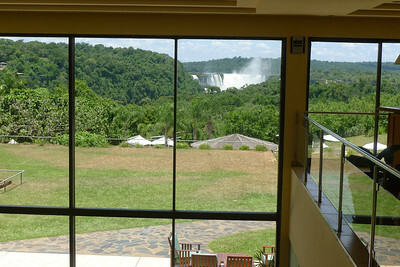 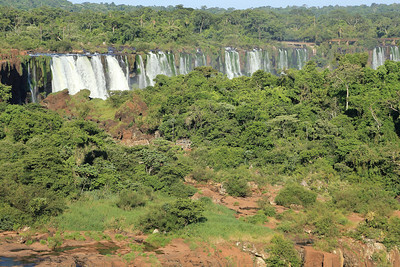 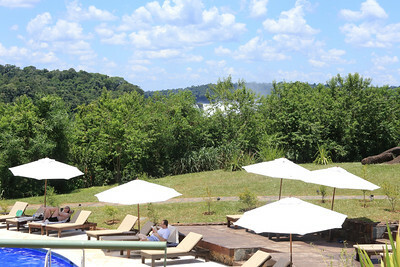 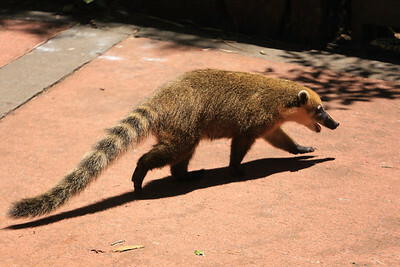 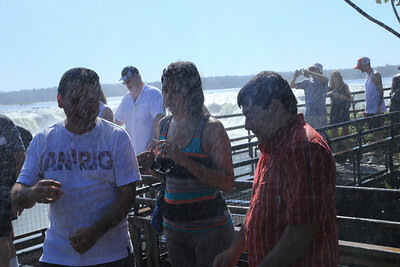 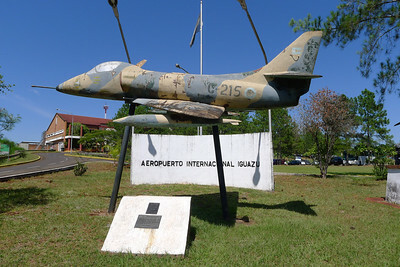 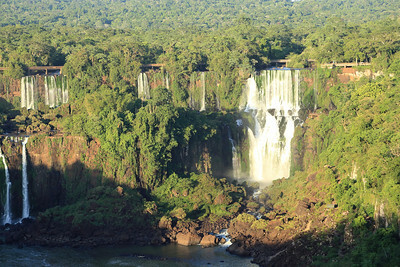 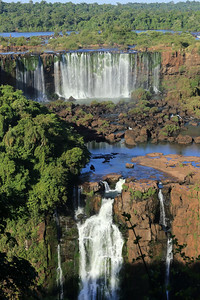 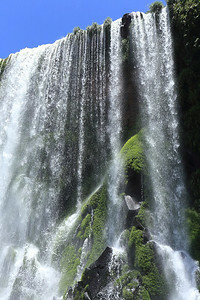 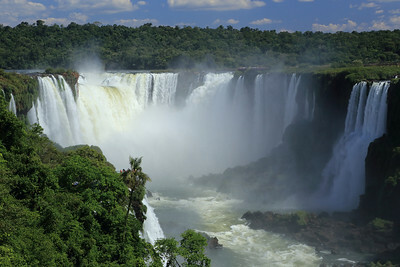 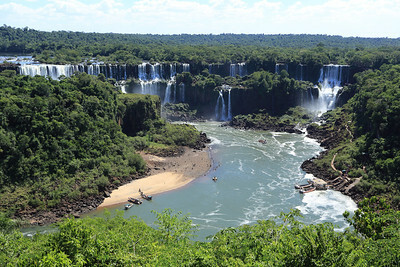 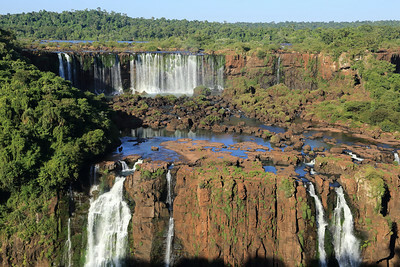 Make sure you visit the town of Puerto Iguazú. 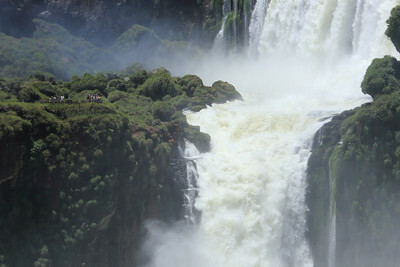 Devils Throat & walkway, Argentina. 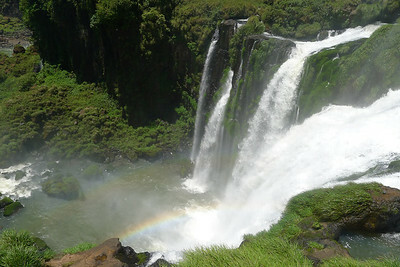 Devils Throat, you do get wet! 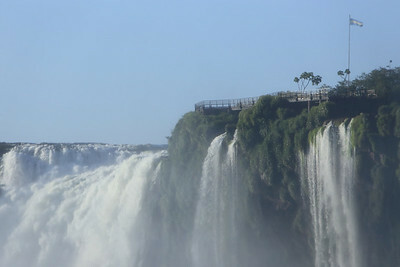 To Devils Throat via walkway, Argentina. 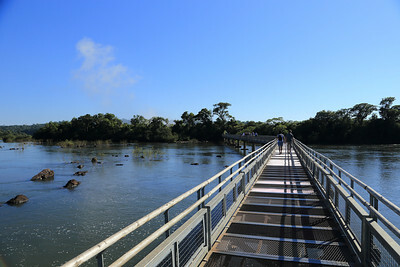 Mist in the distance. 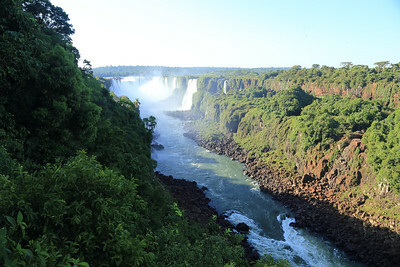 Looking towards Devils Throat from Brazil side in late afternoon. 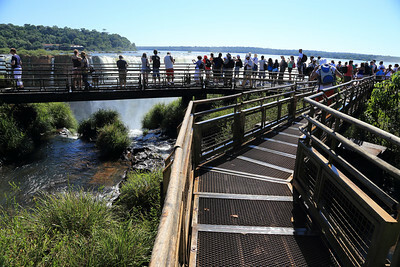 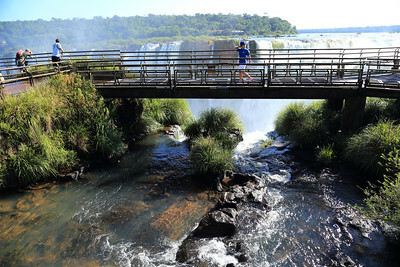 You can see the crowd on the viewing platform at Devil's Throat and the walkway going off the right.... 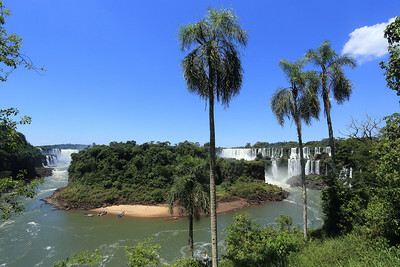 I found the Brazil side nicer, far fewer people. 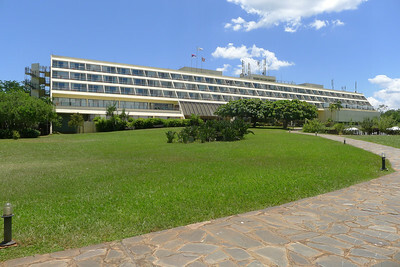 Sheraton, inside the Park, close to the trails. 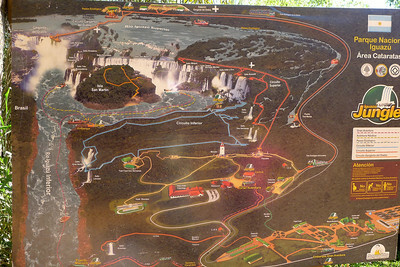 Argentine view of superior trail & walkway as seen from Brazil Park side.